Among their earliest releases, which included a relatively big original hit, Kokotoni Wilf, Elite published a number of rather peculiar TV-licence games with less than stellar success. Because I'm such a fan of bad games, I'll be looking at two of these games this time... but also because these two games only have two versions around, so it'll be a relatively easy job. As bad as they are, though, they have remained in my memory for whatever reason, and in my mind, could have been a lot better, had the designers had a bit more imagination and perhaps ability to put their ideas properly into the code. 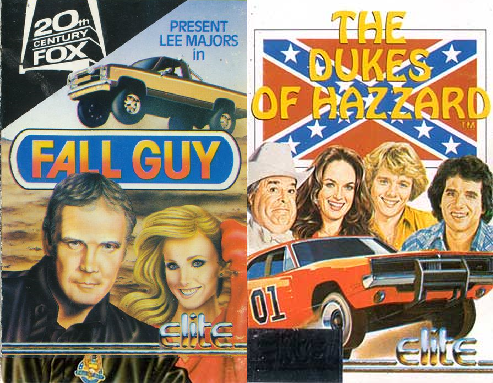 As it is, the Dukes of Hazzard game ended up having no credits for the crew involved, although it has been suggested that the same people were involved in it who created the Fall Guy game. Who knows. 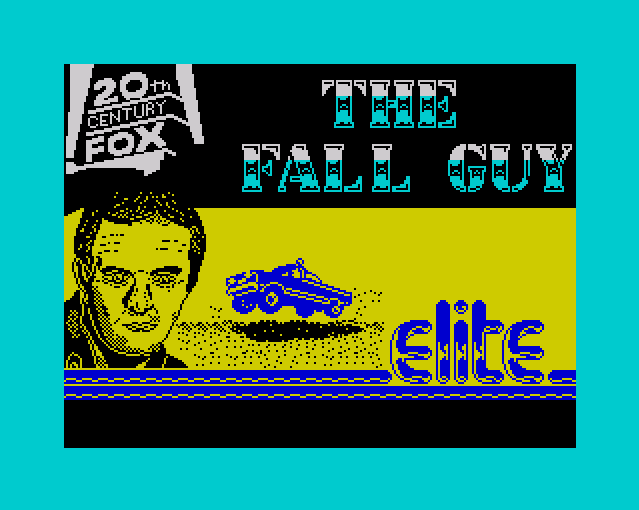 Anyway, currently, The Fall Guy has a round score of 4.0 at 31 votes at Lemon64, and at World of Spectrum, it has 5.21 from 21 votes. 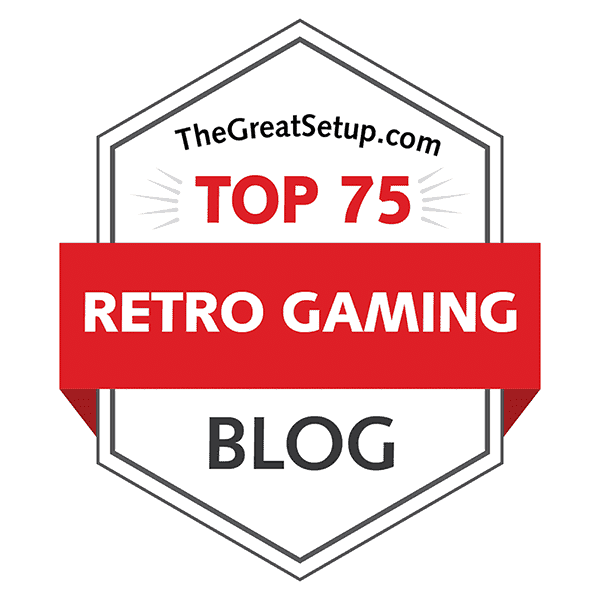 The Dukes Of Hazzard, on the other hand, has a score of 5.69 from 13 votes at WoS, while the Lemon64 database doesn't even have the game in it - nor does MobyGames, for that matter. So I guess we're talking about a proper hidden "gem" of sorts here. To be completely truthful, I have never seen an episode either The Fall Guy or The Dukes of Hazzard, although I have seen a few clips of the latter from a Finnish TV channel. At the time when I had developed any sort of interest in either game, neither of the shows were available in this country, and once they became available, my interest was completely lost already. So, these games were the only notable experiences I ever had of either brand, and therefore I decided I had to check any sort of plot details and other information from the wonderful world of Internet. I would also have to take a look at some clips of the shows themselves. The Fall Guy follows the adventures of a Hollywood stuntman named Colt Seavers, who moonlights as a bounty hunter. He uses his stuntman skills to capture fugitives and criminals, and he is also often accompanied by other inevitable sidekicks. But the game focuses more on doing the actual stuntman work, as your mission is to perform "stunts" in a number of scenes until enough footage has been filmed. Basically, this means you have to reach the end of the time limit on each scene by jumping around in the screen you are placed for each scene, but the trick is: the time counter will not move unless you happen to be on the moving platforms, whatever they may be on each scene. Also, there will be other obstacles, which can add to your total salary, if you jump over them. You have a set number of attempts for each scene, but once you have completely failed in one scene, it's game over. The Dukes of Hazzard was developed from the 1975 movie Moonrunners, although the TV-series had a more humorous edge to it than the rather crude and serious source material. The TV-show follows primarily the misadventures of the Duke Boys and their other semi-immediate family, who have previously gotten in trouble with the Hazzard county law, and whose primary object is to foil the crooked schemes of the corrupt county commissioner "Boss" Hogg. I guess I should look into it more to make more sense of the plot description at Wikipedia, but I haven't got the necessary amount of interest to do so. Instead, I have the distinct pleasure of figuring out what the game is all about. The game hasn't got much of a plot, really, unless you count the scenario description as a plausible one: the Dukes owe $5000 to "Boss" Hogg, and unless they pay him within 72 hours, he will seize General Lee (the car) as collateral. The Dukes have come up with a plan to enter a road race with the first price being the aforementioned $5000, but you first need to get to the race arena, and of course, you will face trouble with the entire county police force and Hogg. Basically, it's a side-scrolling vehicular shoot'em-up with some rather peculiar platforming elements. Although at least the Dukes of Hazzard has had its share of other video game adaptations, the Fall Guy is less known for such honours. Also, I think it's very peculiar that both of these games - as well as many other TV-show game adaptations were made and published by a British company, instead of having them done in the U.S., where the shows were made. Yes, the Dukes had a U.S. based game for the ColecoVision as well, but from what I've read, it's even more dismal than the Elite effort. I guess the video game crash prevented from any of this from being developed in the country of origin. For a TV-show game adaptation connoisseur or a fan of either show, these two games will be of some interest, but I should probably warn every other gamer to stay far away from either title - just focus on the proper Elite hits. Unfortunately, I was again unable to find enough of actual cassette image files for being able to do a loading times comparison, hence the irregular placements of the Spectrum loading screens. Tapes of the C64 versions seem to be impossible to find at the moment, but if I ever come across the real C64 tapes or required image files, I shall update this entry with a proper Loading section. But now, let's get on with the games. Again, what has been told already shall be elaborated further. Also again, there isn't much to tell, really, and what there is to tell, shall already be part of the actual comparison. Although both versions of The Fall Guy very much based on the same idea, they are still different enough to be considered very different experiences. The C64 version has 5 scenes to play through, which start over on a higher difficulty level (= more hazards) once you're done with the first set. All 5 levels are basically the same: run and jump on moving platforms towards the right edge of the screen, while dodging some obstacles, until the time runs out. As I said, only the time spent over the moving platforms will be counted as time spent, since you're supposed to be performing stunts. At the beginning of each scene, you are given 3 new attempts, but if you fail all three attempts once, it's game over. The more stunts you perform (jumping over obstacles), the more bonus salary you will get. Loading screen from the ZX Spectrum version. Moving Colt Seavers around on the C64 is nicely sedate, but has an irritating inertia, which will prove to be difficult to handle on certain levels. Also, the collision detection is a bit unforgiving, as most of the time you need to be perfectly landed on the platforms, or you will drop down and fail. The SPECTRUM version has 6 scenes to play through, most of which are very similar to those on the C64 version. The second level takes a wild turn and places you on top of a line of wagons, but you start from the right side of the screen, and your worst enemy here will actually be the wind blowing you off from the wagons. The same pseudo-realstic, yet officious effect is present in latter levels as well, but I guess it sort of adds to the Spectrum version's charm of sorts. Also, the final screen from the C64 has been spread into two different scenes taking place in what I guess is the same area - near and at the Elite headquarters, with boxes that probably contain loads and loads of cassette tapes. Both scenes look a bit different from the single C64 one, and the obstacles are a bit different. Instead of 3 attempts per scene, you are now given 5 attempts, which should prove to be useful, since the Spectrum version also happens to be a lot quicker than the C64 version. But that's not all: the area of movement has been reduced quite radically for the Spectrum, so that you only need to focus your action on a very small area - which will not be much of a chore, since you will not be jumping over anything other than gaps. The other obstacles are mostly just flying hazards that have a easily discernible movement pattern. Instead of having a time limit, you have a number of "footage" you need to collect, which basically means jumping over a gap in the early scenes, and jumping over two or more gaps in the latter ones. Because the C64 version is more based on reactions and strategy, and the Spectrum version is more based on learning patterns, they're actually very different games. Neither of them, unfortunately, could be called particularly good at what they are, so it is difficult to tell which one is the least worst. Therefore, I will give them a tied place here. The way the game plays is, for the lack of a better word, infernal. You drive the red Dodge Charger known as General Lee down the seemingly endless straight road, while attempting to dodge bullets from a helicopter, other vehicles and debris flying from the other vehicles that you have blown up. So, just to be clear, you can push the gas pedal, you can jump with the car, you can steer the car from lane to lane, and you can throw sticks of dynamite. As fun as that has the potential to sound, I'm sorry to say none of it is. Oh, and you must not throw dynamite at the Jeep, which is driven by Daisy - one of you guys, in case you were not aware. Again, the two versions play quite differently. The SPECTRUM version's controls are: Z for throwing a dynamite, X for jumping, Symbol Shift for changing lanes, and M for pushing the gas pedal, although you need to do that wild tapping thing like you would on a Nintendo version of Track & Field or something, to make the car actually move faster than the lowest possible speed (not stalled), which on the C64 is shown to be 5,5 mph. Although the game's instructions say that it automatically detects a Kempston or a Sinclair joystick, I couldn't get either of them to work, so I guess it's only playable on keyboard, unless you can find a joystick-hacked version. In at least this way, the C64 version is more controllable, as it supports a joystick, and you don't need to waggle in order to get the car moving properly - but you still need to throw the dynamites by pressing the Space bar. Now, let's get to the actual irritating bits. For starters, in the SPECTRUM version, any collision with any other vehicle costs you one of your three lives. On the C64, this has been fixed slightly by giving you some slack - the police cars will not trouble you in any other way than constantly wailing the siren and occasionally driving behind you. This, I gather, must be the result of the programmer forgetting to implement all the elements into the conversion. The Spectrum version allows you to only drive on one of two lanes, while the C64 version gives you more freedom of adjustment... but I don't really know which one is the less useless method for this game. See, this game has no depth perception whatsoever. If you happen to be driving on the lower lane, and you need to jump for whatever reason, you will crash if there is a vehicle passing you on the higher lane. On the C64, this depth problem is even worse, because you can throw a dynamite from the lower lane and make it hit a vehicle on the higher lane, which wouldn't happen on the Spectrum. The problem is even worse in that the dynamite will never blow something up on the lower lane, which forces you to jump over cars in the latter halves of each level. This depth problem also makes dodging bullets and bombs from flying vehicles really irritating. One of the reasons why the game plays so badly is because it has been attempted to make prettier than the programmer had skill to do properly. The game has some pretty nice parallax scrolling, giving some sort of illusion of distance for the background, but the scrolling on neither version represents the speed nearly as well as it should. Also, the effect of your acceleration and deceleration to the descending bullets and bombs from the planes and hot-air balloons is almost worthless, and has no touch of realism whatsoever. But the C64 version's scrolling has a slightly more effective illusion of speed. For once, I am torn about whether or not it is a good thing, that the C64 version has better scrolling, because while it does make it generally easier to control your car, it also gives less reaction time. In this game, having time for calculating your chances of survival in various situations, and allowing things to happen in their own time, is pivotal. It just happens to be an equation you wouldn't want to have in a racing-based action game. Sadly, the SPECTRUM version also requires pixel perfect jumping, which is painful when you need to concentrate on speed, the helicopter bullets and even the character block sizes that the sprites occupy; the C64 version gives you a bit more room for error in this regard. While there are only three levels in this game, it is much more than enough to bear. In case anyone's interested, the C64 version doesn't have a proper ending - nor does it have an intro cutscene, both of which the SPECTRUM version has. This sort of thing could eat up any intrigue of attempting to finish the game. I don't really think it applies in this case, but still, less is less. And in any case, both versions of the game have their own specific problems, which are bad enough not to include this in the equation. But I would put it like this: the SPECTRUM version has an irritating gas problem as well as no slack on collisions, and the C64 version has worse depth problems. I guess it's one for the C64, although I'm not very comfortable giving a win for either version. While both games are more or less discouraging in their playability, that doesn't mean they don't offer anything of interest concerning things outside of the realm of playability. At least, the graphics in either game are not too bad. By the way, contrarily to what I have done with games like Zany Golf and Encounter! in the past, both of these games are bad enough not to have much attraction in attempting to complete either one, and feature such a small amount of graphics that I think it serves no purpose to leave some levels out of the comparison. As you might have gathered from the above, there isn't all that much to show in this game, since all the scenes are single-screen missions. It all starts off with some differences, though, and the game has a surprising amount of that to offer. Title screens. Left - Commodore 64. Right - ZX Spectrum. The C64 original starts off simple enough with a title screen, showing a title logo represented in a completely different way to how it is shown on either the TV show, the current DVD-covers, or even the game cassette cover itself: here we have it done with a variant of the Stencil font. Although both versions have flipped the colours compared to each other, I don't think it matters all that much since it's not similar to what's on the TV show. Then we have the obligatory Elite company logo at the bottom, along with the inevitable info display section next to it, as well as the nicely stylized credits all over the screen. At least the C64 version makes a difference to its advantage by showing an animated 20th Century Fox logo at the top left corner. Poorly animated, but animated. Screenshots from levels 1 (left), 3 (middle) and 4 (right). Top row - Commodore 64. Bottom row - ZX Spectrum. As you start the game, the C64 version prepares you for the game by showing you a title card for the current scene, which you will see below. The SPECTRUM version has no such luxuries. The first scene makes you jump gaps between moving train cars, and you start the level from the top of the tunnel. On the C64, there is a bird flying from one side to the other, and dropping something on you, rocks? bags? something; and you have to jump over additional obstacles on the train car roofs. On the SPECTRUM, there is only a bird getting in your way, and it has a certain pattern it follows. The movement limit is where I have placed the stuntman on the screenshot. Apart from the more actiony bits on the screen, the train looks a bit different in both versions, there's a biplane flying at the top of the screen in the Spectrum version and there's a bush and a tree on the C64 screen that haven't found their way for the Spectrum. And as usual, the colouring is a bit different, as you would expect, but basically, the background picture is surprisingly similar in both versions, considering what's coming up. Scene number two has been moved on to the set of screenshots below, because they were too different for the above lot. The third and fourth scenes take place closer by the river. In scene three, you jump off from the roof of an inn onto a row of ships going by the dock. This time, there is much less details in the background on the SPECTRUM, and the colouring is more natural for the C64 version. You can also see from the Spectrum screenshot of scene 3, that the stuntman sprite is made of two parts, and can be sometimes seen in two separate parts when jumping. In scene four, you have to jump off from a ledge of what I'm guessing is a beacon or a watchtower of sorts, onto an unending stream of Panzerkampfwagens or some other kinds of tanks. Again, the colouring on the C64 is more suited for the subject matter. Besides, the C64 version features enough hi-res graphics to give the Spectrum folks a run for their money. This raises a question: why wasn't the C64 utilised in a similar manner more often? Top row: Commodore 64 screenshots from scene 2, one of the exclusive title cards and scene 5. Bottom row: ZX Spectrum screenshots from scenes 2 (left), 5 (middle) and 6 (right). Now we can go back to scene 2. Basically, you're jumping on top of similar-enough looking wagons in both versions, only the C64 version features minecarts filled with coal, and the Spectrum version features what are supposedly people-carrying wagons. The setting is completely different: on the C64, you jump over the minecart gaps, rocks thrown by some idiot running around at the bottom of the screen and lumps of gold (I think?! ), in a mountainous setting with a sunset showing between the two mountains in the background, while the SPECTRUM version puts you somewhere in a jungle, where a cannibal cook behind a palm tree is keeping a person inside his cooking pot, waving his hammer or whatever he (or she) is holding. Far in the back, we can see a small aboriginal village, and a person wielding a bow. The ledge you start the Spectrum version of scene two from doesn't come from any visible thing, but I'm suspecting it's supposed to be a ledge-type rock on the side of a mountain. The middle picture at the bottom and the rightmost picture at the top are supposed to be from the same scene. However, the C64 scene is clearly located in the middle of a city street, while the SPECTRUM scene is just outside a city, the limit of which has a very tall building and some mountains in the background. Then again, my other theory could be more correct in this, since the sixth scene in the Spectrum version continues on the same theme. In scene 5, you jump over differently labeled trucks, while in scene 6, you jump over differently sized boxes, as you do in scene 5 of the C64 version, although again, this takes place in a completely different setting on the Spectrum, and the C64 version features more obstacles. Confusing? I thought so as well. But since there is nothing more to think about, let's focus on the backgrounds and other details a bit more. Curiously, the C64 version features quite a lot of hi-res multicolour graphics, not only in the backgrounds, but in the platform elements as well. Apart from the fairly nice multicolour sprites, the C64 version looks more colourful and detailed than the Spectrum version for the most part. Frankly, prettier. Added to that, the C64 version exclusively has title cards for every scene, all in a different colouring. The SPECTRUM version has a sixth scene, but even if you combine scenes 5 and 6 on the Spectrum, they don't add up to the charm and beauty of all the graphics on the C64. Maybe it's just me, but I think this game is one of the rare examples the C64 has beaten the Spectrum in its own game. Unless you really want to dig deeper than necessary into this game, there aren't all that much of graphics to look at. Going deeper would mean to count all the different kinds of vehicles and solid objects on the road, but I shall not be doing that, because it's not really important in the bigger scheme of things here. Title screens. Left: ZX Spectrum. Right: Commodore 64. Of course, we have to start with the title screen, which is conceptually very similar in both versions. 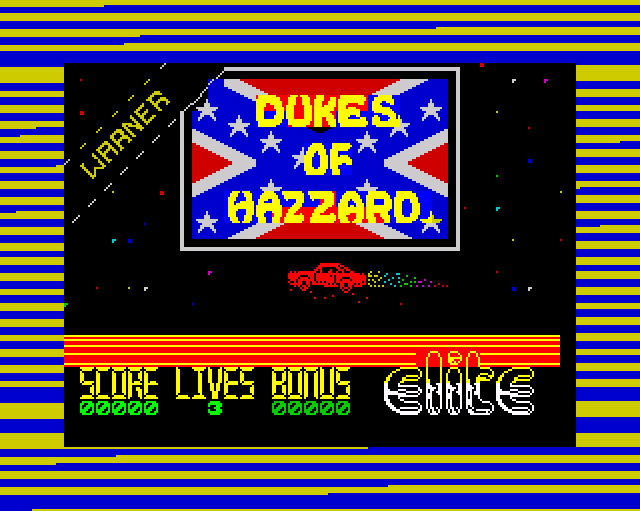 There's the Confederate flag behind the "Dukes of Hazzard" text logo, if you can call it a logo; the ugly diagonal Warner tag in the top left corner, a starry black background and the bottom area with some more stripes as you saw in The Fall Guy uselessly taking space, the Elite company logo and the info panel. In the SPECTRUM original, there's a red car in the middle below the Confederate flag going left and leaving some rainbow dust behind - this car was left out of the C64 version. Also, the starry background is black and white on the C64, while the SPECTRUM stars are colourful. The only difference from the SPECTRUM loading screen to the title screen is the flashing bonus reading. Since I have no idea whether the C64 tape version even has a loading screen, I cannot say whether it has any similarity to the Spectrum version in this regard. Anyway, the title screen gives a more promising start for the Spectrum version. Yee-haw. Screenshots from level 1. Left: ZX Spectrum. Right: Commodore 64. Let's take a look at all three levels first. Of course you might have noticed in the title screens comparison already without my telling you about it, but the info display is a bit different in both versions. Both versions feature the score counter, lives indicator and bonus counter, but the C64 version has all of them piled together in the left end of the screen at the bottom, while the SPECTRUM version shows them side by side. Given the lack of waste of space on the C64, they have managed to fit in a speed indicator, which is nice, but useless, since the game doesn't really give a very good correlation to the speed indicator. The action screens look remarkably similar in both versions, at least when it comes to the backgrounds and hi-res vehicle sprites. Sure, the colours are a bit different on both versions, but I'd say the C64 plays more to its advantage in this regard. See, the multi-coloured wide pixels on the C64 have some advantage, because for one thing, it's nicer to look at police cars and helicopters with proper colouring rather than a thoroughly yellow or white hi-res sprite, which might look good otherwise, but really, the police car on the Spectrum looks more like a taxi. Also, asphalt is rarely darker than grey, at least when it's not new, and grey works better as a background colour to give things more possibilities to appear as they should. The colouring of General Lee is a bit 50/50 for both versions - the '01' marking on the door looks better on the SPECTRUM, but the C64 version has the Confederate flag on the roof somehow represented. But you know, the sprites are really the least of our problems. Also worth mentioning here is General Lee's jumping animation, which is quicker and less extreme in its angles on the C64, but looks better exactly because of this on the Spectrum. The General Lee death animation loop sequence. Top row: ZX Spectrum. Bottom row: Commodore 64. Since we got to talk about animations, let's take a look at the animation for General Lee's spectacular crash sequence in both versions. Sure enough, it's spectacular and fairly spinny, but since it's a VERY long animation sequence (all seven frames repeat seven times in a row, and the whole thing lasts about 4 seconds on the Spectrum and 6 seconds on the C64), and you need to watch it every time you crash, the beauty of it suffers a serious loss of value in the not very long run. Both versions have the animation about 99,9% similarly done, and it's as irritating to watch every time in both versions. Screenshots from level 2. Left: ZX Spectrum. Right: Commodore 64. Now, although level 1 was easy enough to get all the necessary screenshots for, I freely admit that I had to cheat my way through to levels 2 and 3 in order to get all required screenshots of the game. Level 2 features a hot-air balloon, which will drop bombs that look like spinning asterisks. Of course, the bombs will only have any effect on you. The more interesting thing here is the animation of an explosion when you hit an on-coming vehicle with a dynamite. On the SPECTRUM, the vehicle actually blows into coloured pieces on the spot, and sends off a couple of bits of white debris, which can hit you if you're not careful. On the C64, only the two bits of debris will be shown - this you can see in the picture below. Screenshots from level 3. Left: ZX Spectrum. Right: Commodore 64. There is not much more to show here - only the background of level 3 and a picture of the third aerial hazard. While both versions go with a similar idea of giving the night sky the same colour as is in the screen borders, the SPECTRUM version manages to look prettier, since it has been kept less busy and more atmospheric. As for the little plane shooting at you, the C64 version has a more realistic looking model, while the Spectrum rendition is more cartoony. I don't really know what to think of either one, since they work just as well in the context. I forgot to mention the parallax scrolling earlier, so I might as well do it now. Basically, both versions have been done in the same way: the topmost background element, the sky, has been locked in place, while the only other visibly scrolling background items are the second top-most element (trees in level 1, beach in level 2, city in level 3) and the bottom element, which of course runs the fastest. The most awkward bit is when you come to the spot in each level, when the road becomes narrower, and the narrowing spot scrolls slower than it's supposed to, and has very little relation to your actual driving speed. To be honest, I reckon this sort of thing might require some fancy programming skills - when done properly. Game Over screens. Left: ZX Spectrum. Right: Commodore 64. Oh yeah, the inevitable game over sequence is actually something a bit unexpected. That plain old "Game Over" text slapped on an otherwise empty screen shines with its absence, and instead we are given a tow truck arriving on the screen, picking the fallen General Lee up and towing it off the screen. It's the same for both versions and it's as mind-numbingly interesting as you think it might be. Sure, it's fun to watch for the first time, but it grows old the instant after. Screenshots of bits exclusive to the ZX Spectrum version. There are three exclusive screens in the SPECTRUM version, which didn't make it to the C64 version for some reason. The game begins by General Lee starting off from the Dukes farm, and ends with a non-actiony screen of what looks like a festival arena, with no congratulatory text whatsoever. There is also an alternative Game Over screen, in which you get caught by the police. All of this isn't very much to go by, but the little there is points just slightly towards the Spectrum version's win this time. In the end, it's the little extra things that matter, since it's all just a no good mess otherwise. As before, when it comes to game adaptations of movies or tv-shows, I would expect to hear something recognizable from the source material. For example, the theme song from the original work will mostly do the trick, but as long as the sounds are somehow connected, I'll give the game's soundtrack an approval, if not necessarily high marks. Happily, both versions of The Fall Guy adaptation include a rendition of the main theme tune of the show, which is "The Unknown Stuntman", originally performed by the star of the show, Lee Majors himself, and written for the series by Glen A. Larson, Gail Jensen and Dave Somerville. The song itself tells about stuntmen's work with references to major TV and film stars, such as Burt Reynolds, Clint Eastwood, Farrah Fawcett and Sally Field. Of course, all of this funny business doesn't get said in the chiptune versions, but happily, the melody is memorable enough as it is to leave some sort of an impression, even if you have never heard the original tune. Frankly, I'm not a big fan of country music, so I'd almost rather listen to either one of the chiptune versions. The C64 version of the tune is played with three similar sounds, one of which plays the bass line and the two others play the main melody in stems. As you would expect from a game of this age, the SPECTRUM version has a single beep-tone rendition of the tune, which thankfully plays a bit quicker than the C64 version, but isn't as nice to listen to. The C64 version offers one other short tune for marking a failure, as well as Game Over, only for the latter occasion, the tune is played more quickly. In the SPECTRUM version, this tune can only be heard at Game Over, only opposed to the C64's multi-channel version, it's a single-beep rendition. However, the Spectrum version features a different tune for your failures - it's the bass melody from the last section of Fleetwood Mac's "The Chain" for whatever reason. When it comes to the sound effects, the SPECTRUM version loses by a long way, since it only has a couple of blip-like noises to play when you fall down. The C64 version can at least boast of having sound effects for your stuntman's running, his jumping, scoring bonus points for perfoming stunts and some crashes. I'd say the C64 wins this round very easily. I would be very interested to know the reason behind the game developers' decision not to include a rendition of the theme tune of the show, because my first guess would be that they thought it was too boring in context of the game to bother doing. As with the Fall Guy, the original theme tune for the Dukes of Hazzard is a country/western-style tune - this one being one by the late Waylon Jennings, "Good Ol' Boys", which is a fairly slow piece written for his 1980 album, "Music Man". Whatever the reason, it wouldn't have made the game any better, really. Instead, the only piece of music you'll be hearing in either version is the first twelve all-too familiar notes of "I Wish I Was in Dixie", and with any luck, you might be hearing it multiple times per game. The reason for this is, of course, because it's the famous customized horn signal of the Duke boys' 1969 Dodge Charger. It should be noted, though, that the melody is a bit wrong in both versions of the game, as it starts with a note two full steps below what it should be. Oh well. As for the sound effects... I'm afraid they aren't all that much to talk about either, but at least they're more than what you get in the Spectrum version of The Fall Guy. Most of the sounds in the SPECTRUM version are quick little "dit-dit-dit" noises in various pitches, depending on what is making the noise at each time. The primary noise, of course, is your own car making a few different noises depending on what you are doing, but you can hear the other traffic on the road as well as the airborne hazards doing their things. At least on the C64, all the engine noises sound more like engine noises, and three sound effects can be heard simultaneously, the second of which is the nearly constant police siren wailing. The Spectrum version has better explosion and crash sounds, and even has an exclusive bomb-dropping sound effect for Game Over, but the C64 versions sound effects are miles ahead, technically. The horn signal has been made rhythmically more correct on the Spectrum, but the ticking noises give me a bit of a headache. I can't really tell which one I hate less, but I can't really let either version win purely on a technical basis. Now that I think on it, I could have easily left either of these games to be done in RESET magazine's Format Wars section, and left the less horrible one out, but I guess this might have been the more interesting choice, regardless of each game's status and overall quality. To be sure, neither game will offer much of the action that you might expect from a game adaptation of either TV series, but as I said, they were still really treading on new ground here. That's it for this month, I hope today's entry was at least informative, if not precisely enjoyable. I'll get myself into next month's thematic mood and start working on some more horror games, so keep your eyes open! Thanks for reading! I never knew that Dukes of Hazzard had a video game! By the way, are you planning to do Monty on the Run? It has a Famicom Disk System port in which the only part it shares with the computer versions is the title theme. The Spectrum and Commodore 64 versions both have two loading screens. No plans on Monty on the Run, I'm afraid. I was never very good at it, and apart from the amazing C64 music, it would give me no pleasure to attempt working on it. I already did a comparison of Wanted: Monty Mole back in the beginning of the blog, so that's something at least. How do you know Fall Guy was converted from C64 to ZX? A good question, and the only real answer to this is, that I can only deduct from the information more readily available. The common information regarding release dates and who designed what for which machine are rarely completely definitive. Some games have the year of acquiring the copyright said in the title screen, some have a different year in the cover leaflet, some have different year mentioned in WOS or other internet databases. In this case, I only based my assumpion on the fact that it says "Written and Designed by Neil A. Bate" on the C64 title screen, while no one has taken that credit for the Spectrum version, and joined that information with the copyright/publication years mentioned at WOS and Gamebase64. Although this magazine note might prove things having happened the other way round, I'd still think someone involved in either writing or publishing the games should confirm the information one way or another. Thanks for the input. True that. You got any suggestions as to how to fix this unknown state of the Fall Guy's origins in the credits section without making it unnecessarily wordy and assumptive? Hi! 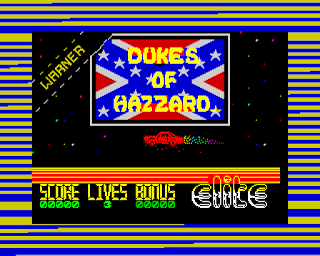 I think Colecovision version of Dukes of Hazzard is interesting because it's false 3D and use the racing wheel ! (btw usa cartridge work on my french console). Yeah, I've tried some of those, some of which were surprisingly nice. Of course, they're completely different games so I couldn't have included them in the comparison. But thanks for the comment and the link - nice collection you got there!